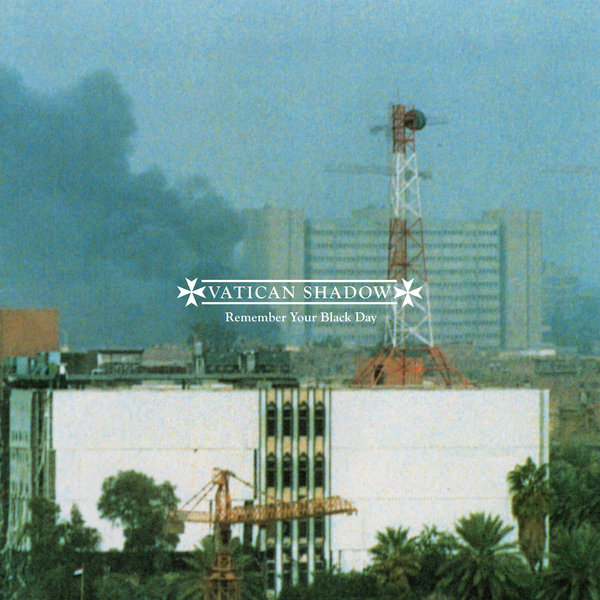 “Remember Your Black Day” features the first material conceived and produced as a full length by Dominick Fernow for the Vatican Shadow project following almost a dozen tapes (mostly released on Hospital Productions) and vinyl editions (released by the likes of Blackest Ever Black, Modern Love and Type) over the last three years. None of the 8 tracks included have been released before on any other format. At a time when the scene is saturated with “Noise Techno” the album is almost celebratory by contrast, balancing caustic licks of distortion and oppressive bass with cleanly mixed synth tones and ricocheting claps in a shell-shocked, surreal soundsphere. WIth production assistance from Juan Mendez (Silent Servant), the album includes the most direct and propulsive Vatican Shadow material yet, continuing an evolutionary shift away from the complex, collage-based narrative of those cassette releases into more visibly direct contact with the listener. There is a functional connection to dance music here, honing in on the human element embedded within a subject matter so fraught with inhumanity.